SoundCloud Login - Access your account from web and app. 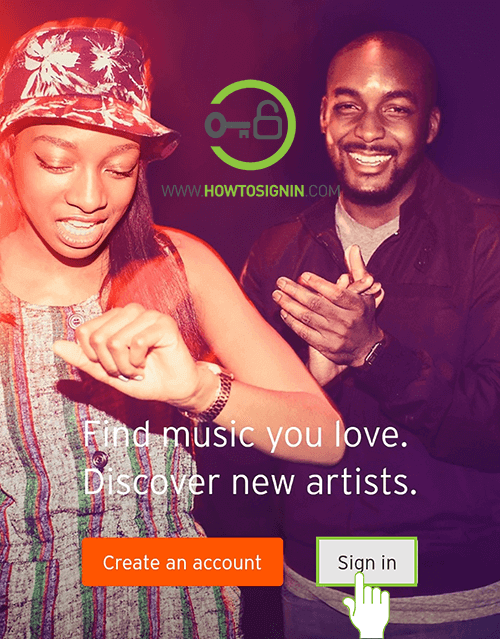 SoundCloud login can be done via mobile app, Windows app, and web-browsers. The mobile app is available for both Android and iOS device. Access your account with email, Google or Facebook account. Sign in to SoundCloud.com so you can upload your music and podcast, listen to others creation, follow your favorite artist, create playlists and many more. Don’t have an account? 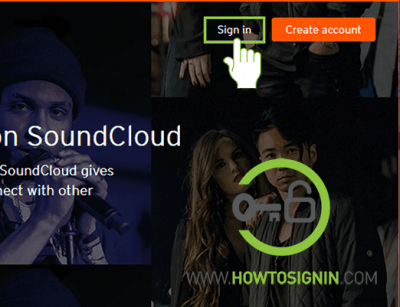 Create SoundCloud account now. How to Sign in to SoundCloud account? Access your account with email address or username. 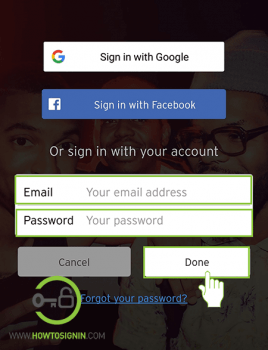 It’s also possible to login to SoundCloud with Google or Facebook account. Go to SoundCloud homepage from any web-browser. Click on Sign in at the top right corner. The login menu will appear. 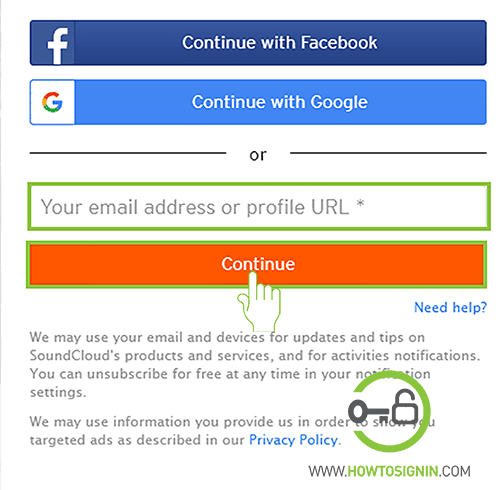 Fill out your email account associated with SoundCloud and Click Continue. 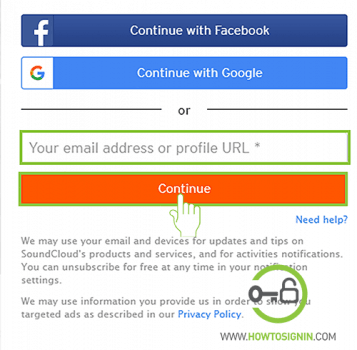 Choose ‘Continue with Facebook’ or ‘Continue with Google’ if you’ve linked your social profile with SoundCloud. Enter the password for the account and click Sign in. Your login process is successful. Now create, listen and share audio tracks and podcast to SoundCloud users. Open the SoundCloud app from the menu. Tap on Sign in at the bottom of the page. If you have setup SoundCloud account using your existing Facebook or Google account then tap on respective Sign in button to log in. Otherwise, enter your email address and password and tap on Done to log in to SoundCloud. Windows 10 has a beta app for SoundCloud which isn’t as robust as Android or iOS counterpart. Open the SoundCloud app from the Windows 10 menu or search it in Cortana. Tap the Sign in button from the menu. 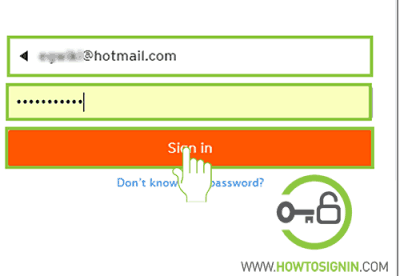 Fill out the email address and password box with your login credentials and hit Sign in with email. You can also sign in with your Facebook or Google account. Just choose which option you want to use.